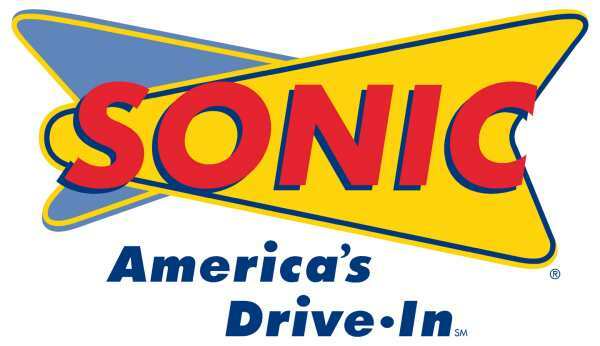 Have you heard of the Sonic Drive-In? It is yet another fast food chain, this time based out of Oklahoma, that slings your average fat laden fare with a drive-in, nostalgia twist. I admit I was sucked in to get a 170 calorie cherry-limeade on my way home this weekend when I was subject to a treat. What might this be? I call it “the downfall of the rural American family”. As I am in line, waiting to purchase my drink, here comes the family from Hell, in their dirt-encrusted SUV-style van. They park in one of the drive-in slots where you can place your order and have it delivered to you by an energetic carhop on roller skates. So out of the van streams the crazy mother, who looks like a cross between Kim Kardashian and a rodeo clown and her two spawn. It seems there was a feud in the car on the way to the Sonic and they have decided to take it “to the streets” as it were. The oldest son is about fourteen, tall, thin, with an unfortunate mullet-type hairstyle that is more “business in the front, rat-tail in the back”. I have an over-whelming urge just to cut this thin, scraggly long tail of hair and make him look like a “real boy” instead of a demented chewing tobacco salesman. The daughter is about twelve, has eaten way too many double cheeseburgers and is now trying to walk in a pair of Daisy Dukes that are fighting back in a major way. She is screaming at the top of her lungs “I WANT AN OREO BLAST!” I figured her Mom has already blasted her with too many Oreos but then I discover that is the name of a frozen ice cream concoction with cookies or candy stirred in. She doesn’t stop there, “AND I WANT A CHEESEBURGER AND SOME FRIES AND HE DOESN’T GET A BLAST BECAUSE HE WAS MEAN TO ME! !” I am assuming she means the rat tailed brother and not the mysterious father, who appears to have collapsed over the steering wheel. The brother, who now demonstrates why he belongs in this family, aside from his lack of fashion sense. He is annoying. He starts to whine while whipping his rat-tail hair around like a pole dancing stripper on crack, and whacking his sister with it. At this point Rodeo Kim, grabs both of her spawn and attempts to shove them back into the van. “You get your asses back in the car before your father whoops you both. Now shut up or no one gets a blast.” I’m not sure if daddy is going to whoop anyone considering he is still prone over the steering wheel. I would like to give all three of them an up close and personal blast of an air horn but remind myself I am not the “King of the World” and besides it’s time to order my drink. As I drive off I see Rodeo Kim trying to stuff her son’s head back through the window like a demented game of “whack-a-mole” and despair for our future. I just keep reminding myself that for every one of these idiots there are ten shining examples of decent people. Please help restore my faith in humanity and be one of the decent people. Posted on August 23, 2010, in Uncategorized and tagged kids behaving badly, sonic drive-in. Bookmark the permalink. 3 Comments. just as appropriate today as it was when first recorded. Wow… it sounds like Ma & Pa Kettle have never taught their spawn one itty bitty, simple word. “NO!” My 6 year old little girl doesn’t scream & carry on like that, and my 14 (almost 15) year old son knows better than to whine. You can ask my 14 year old & 13 year old what happened to their groovy hairstyles last year when they brought home bad grades. High & tight ring a bell? Good-bye Justine Beaver flippy hair… hello skin to wind! So very true, War. See? THIS is why you are a good parent.